What's that? You haven't picked out a Father's Day gift yet because the mere idea of shopping for your dad causes your palms to sweat? Deep breaths, reader. We can get through this together. 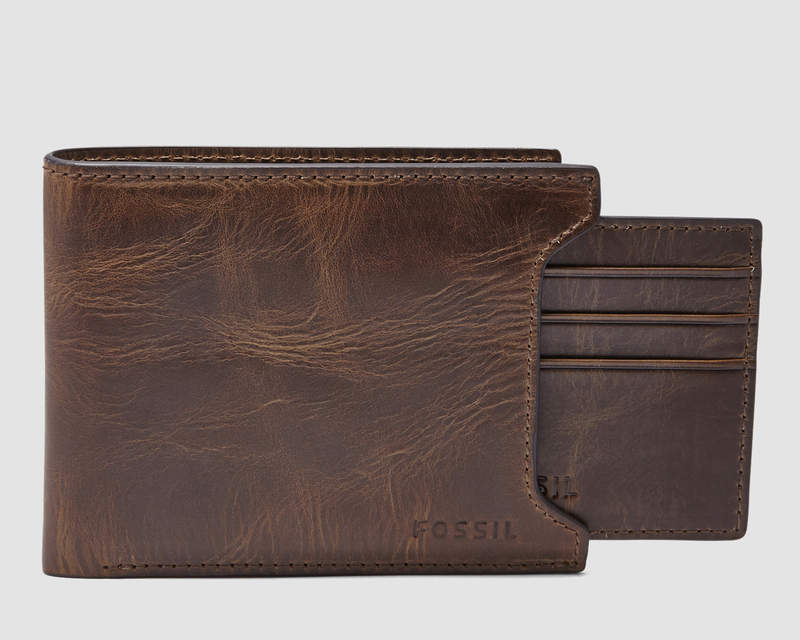 Lucky for you (and me, and, really, everyone's dads), Fossil — the watch and leather-goods-centric brand you probably didn't even think to explore — has a bunch of perfect gift contenders that'll help you not only get through the holiday, but pass the gift-giving portion with flying colors. Bonus: Lots of 'em are on sale! 1. A nylon and leather rucksack he can use on his morning commute — or midlife-crisis-fueled backpacking adventures. 2. A leather city bag that'll give him an easy way to upgrade any business-casual outfit and look like a natural urbanite in the process. 3. A quartz chronograph watch for the dad who prefers sporting timeless styles. 4. 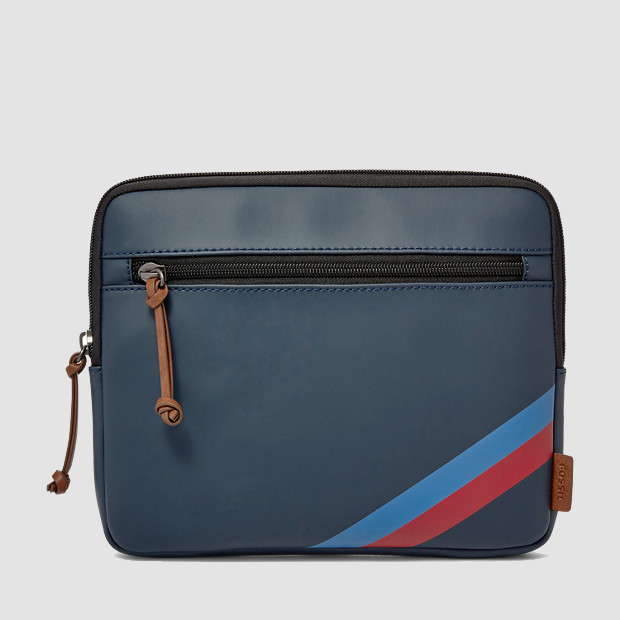 A vintage-style tech organizer, the safest route for the techie dad who seemingly has every gadget known to mankind already. 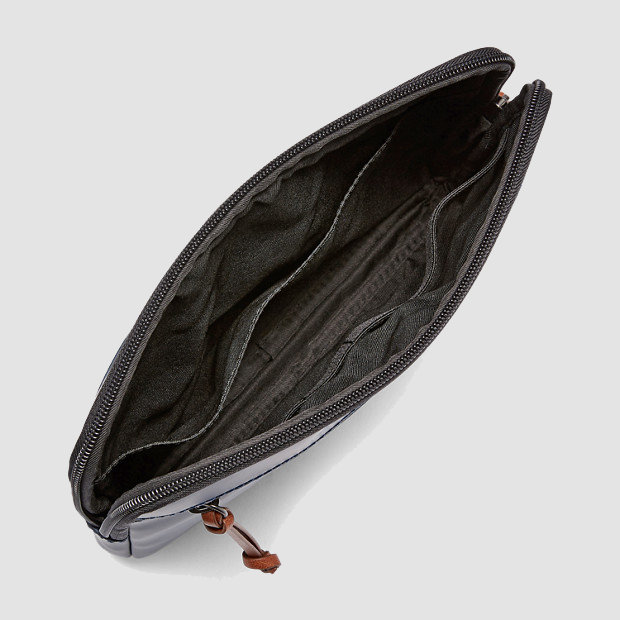 This versatile case is made of cotton and leather and includes one slip pocket and five elastic loops inside (not to mention one zip pocket and one hidden pocket on its exterior). 5. A "hang loose" coin bank, because managing finances has never felt quite this chill. The coin bank features vintage gunmetal hardware and a snap closure. 6. A shave kit that'll shave hours off your hunt to find the perfect Father's Day gift. 7. Gold and tortoise sunglasses for the cool dad who wants to relive the glory days of listening to Steely Dan on a hot summer day. 8. 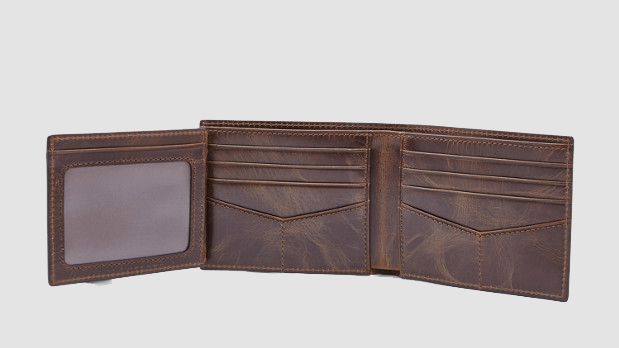 A sliding two-in-one wallet, because you'd give him a million bucks if you could — but for this occasion, a wallet to hold his million bucks will have to do. 9. A classy duffel that only gets better looking with age, just like the man of the hour himself. 10. And a simple stitched leather bracelet for the dad who doesn't identify as a "bracelet person" but is looking to start somewhere.